Hey everyone, how’s it going? 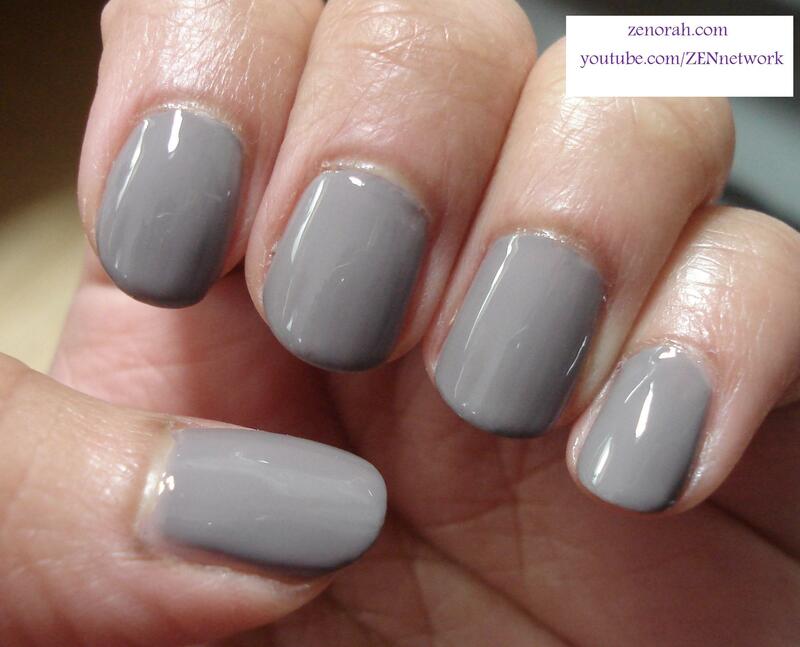 Right now it’s SUPER cold here in Ontario, Canada and when it’s in the -20’s only one shade of polish will do…grey! I have had this baby in my collection for quite some time now but sadly this is the first time wearing it! I have a couple of other grey polishes but lets face it – I am on a mission to own every Essie polish (providing they are of good quality) to add to my collection so bought this one on that premise. 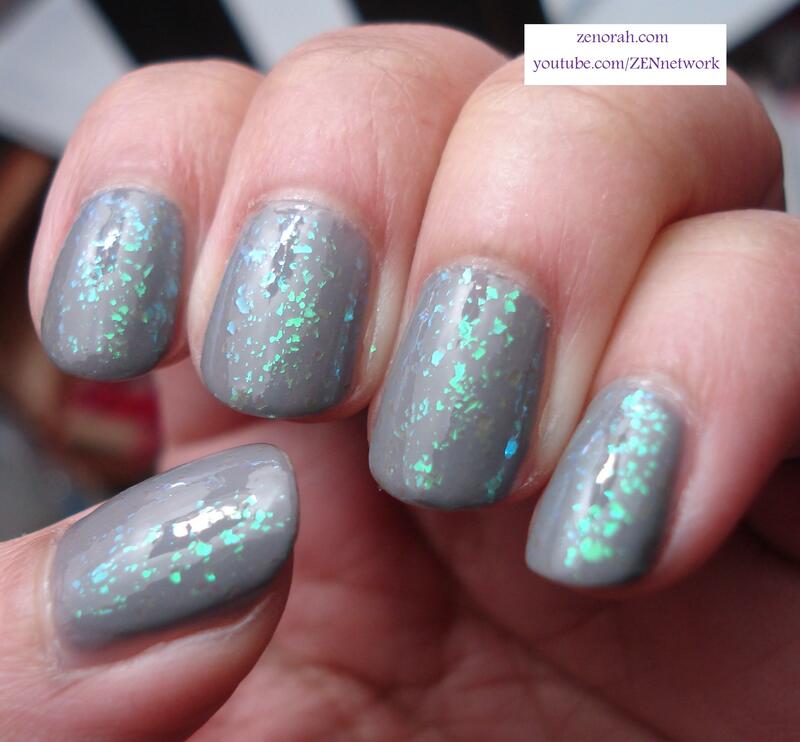 Essie Chinchilly – is a medium grey creme polish and as you can see it dries with a very high shine! I usually never wear a top coat with Essie polishes for that specific reason and this was no exception. I love the contrast of the cool grey tone with my medium warm skin tone – this is definitely a polish that looks good in winter and I can see why it’s been a cult favourite for a long time! This manicure was opaque on two coats (not sure why my index finger looks darker lol) and it had a decent dry time. Now I wore this manicure for about two days and started to wonder what it would look like with a flakie top coat (seeing as grey is a neutral colour). I am soooo happy I got curious because this combination turned out absolutely gorgeous! 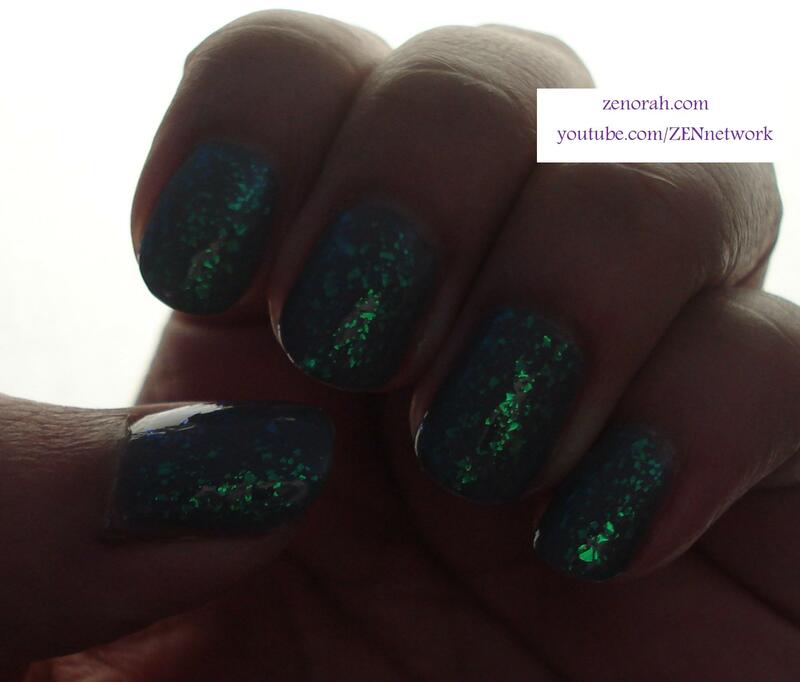 This is one coat of Zoya Maisie – which is a turquoise blue green flakie! Depending on how your tilt your hand the polish appears more green or more blue. I just LOVE this combination and it will most definitely been in my January 2013 favourites video! I couldn’t stop staring at my nails the entire time I was wearing this the other day! It was really hard to capture the beauty of what it looks like in real life but THIS PICTURE was a good representation despite the lighting. I could not post this combination without trying to capture it’s true beauty. Just looking at it here makes me want to wear it again! I wore this manicure (got TONS of compliments by the way) for about 2 days but got very curious what it would look like with a MATTE top coat. I used one coat of Essie ‘Matte about you’ – you can see the mattified effect better on my thumb than on the other nails but I really liked it! The flakie particles are more apparent on when mattified but all-n’all I LOVED this manicure and by the end of the week it felt like quite the adventure LOL! I really adore it and I encourage you to try it if you have flakies in your collection. This is being ranked as an entire manicure. 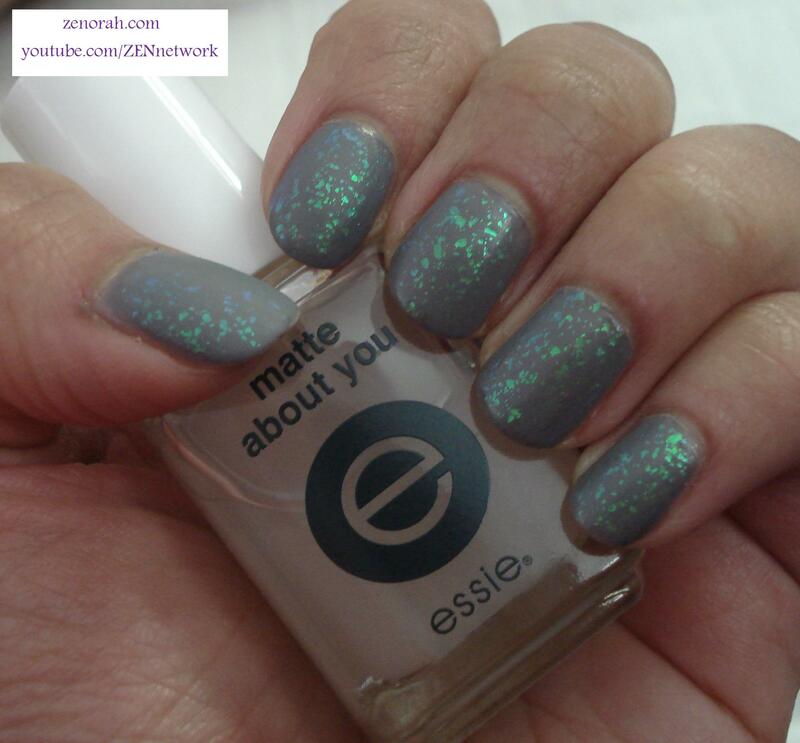 Do you own Essie Chinchilly, Zoya Maisie or Essie Matte About you? this is such an awesome combo! i never would have thought to put these polishes together and now i wanna try this out! awesome mani girl! awww thank you girlie & it would look crazy beautiful on you!! definitely try it out!!! Zenorah, you always come up with the most creative combinations! Those flakies just GLOW with that matte top coat!